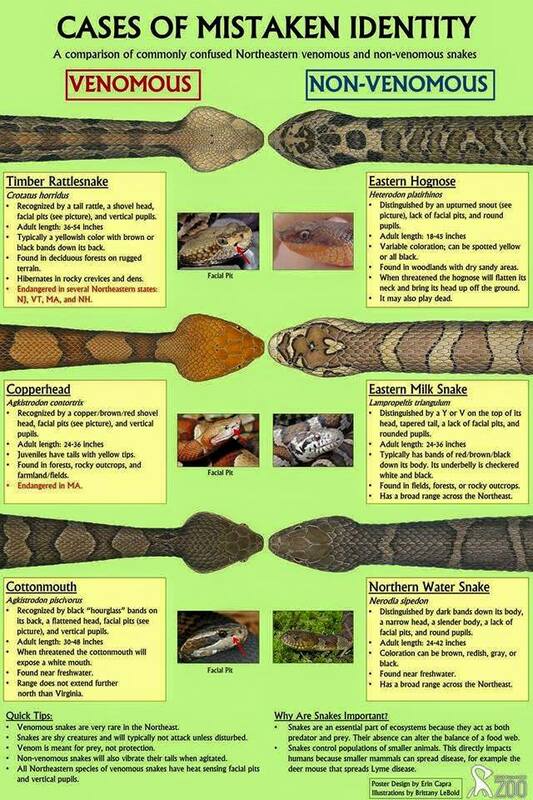 Do You Know The Differences Between These Look-A-Like Snakes? The dog days of summer are in full swing, and that means we're in the middle of snake season. 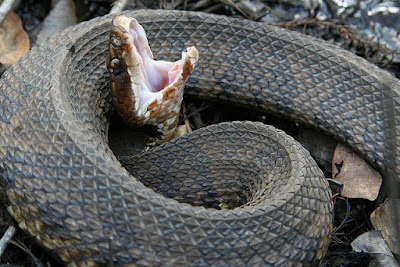 The warmer the weather, the more active snakes are, and people too. With people enjoying outdoor activities such as camping, hiking, and swimming, your bound to come across a snake at some point. Can you tell the differences between these common venomous snakes, and their non-venomous look-a-likes? While your best bet is to leave any snake alone and give them their space, it's still a good idea to be able to tell the differences between a harmless snake, and one that could cause serious injury and possibly death. This chart is an excellent resource to study and learn.